I have never tried gouache before. 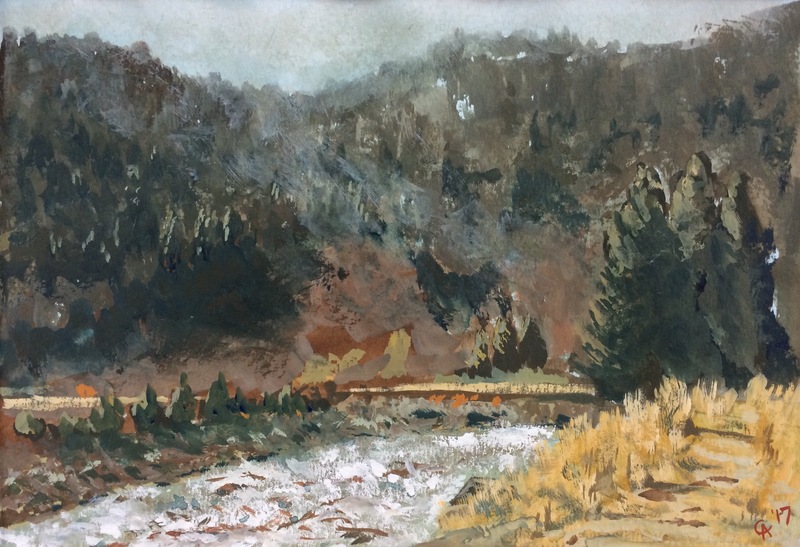 This 5×7 of the Gallatin River in Montana is my first attempt. I could probably spend some more time to make it a little better, but I am not sure I have the patience today. Still lots to learn about this medium. This was done with Holbein gouache–Prussian Blue, Burnt Sienna, Yellow Ochre, and Titanium White–on Fabriano Tiziano blue paper. A few weeks ago I was in Montana, and, while I didn’t get to paint there, I did get some good photos to work from. 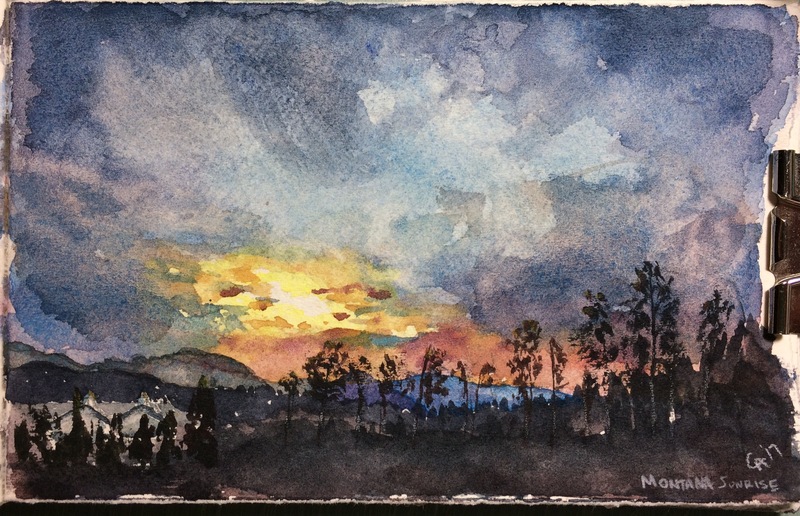 Here’s a 3×5 sketch of one of the morning views from up in the mountains. Some really incredible skies out there.